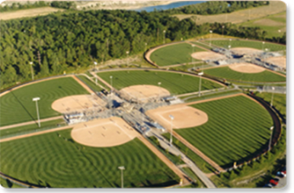 Sylvania Pacesetter Park is a 138 acre multi-use sports complex. This facility hosts tens of thousands of youth and adult leagues, teams and tournaments each year. 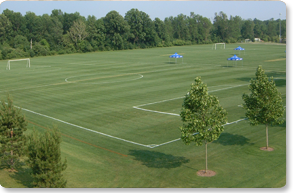 The premier turf fields (Kentucky Bluegrass/Ryegrass) are maintained with the highest care – serving the varying needs of soccer, lacrosse, flag football and rugby. The park’s eight (8) fully lighted baseball and softball diamonds rival any in the Midwest. Pacesetter is the annual host to countless youth and adult baseball/softball leagues; as well as being a regular host of USSA Softball tournaments.